In food-obsessed Singapore, bonding with friends and family tend to take place over a hearty meal. As the table shares the food alongside their stories, bonds are formed, and everyone leaves fuller – both in stomachs and hearts. This is especially why restaurants that serve food for communal sharing – like steamboats and table BBQs – are so popular. 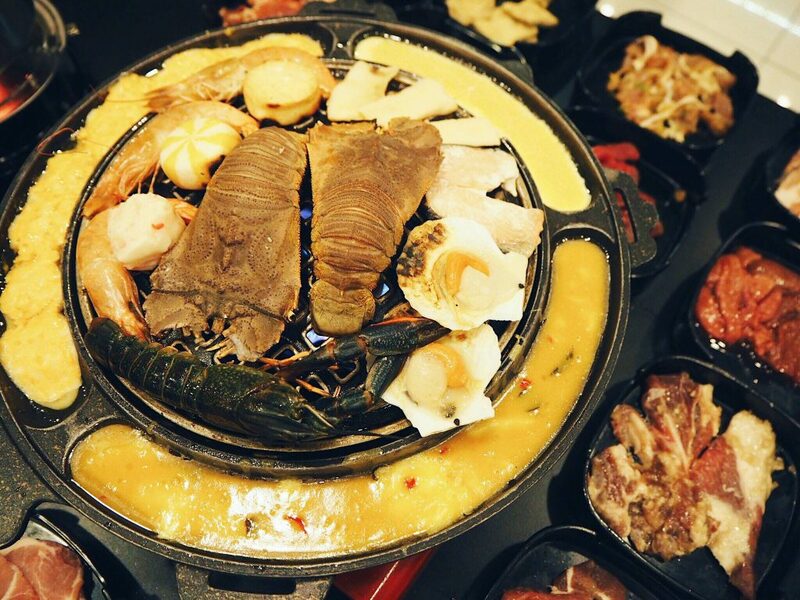 Not a day goes by when popular steamboat chain Hai Di Lao doesn’t garner wait times of over 1 hour, or Golden Mile Complex, popular for its Thai-style mookata isn’t packed with Singaporeans busily grilling their servings of seasoned meats. 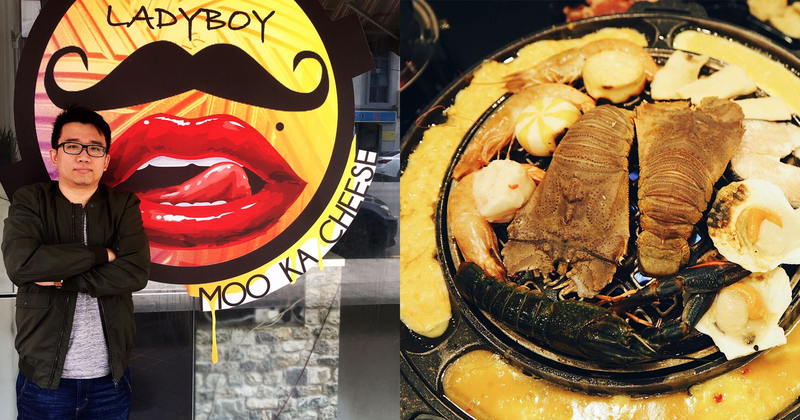 Ladyboy Mookata is one of these popular establishments, albeit being located at Geylang. 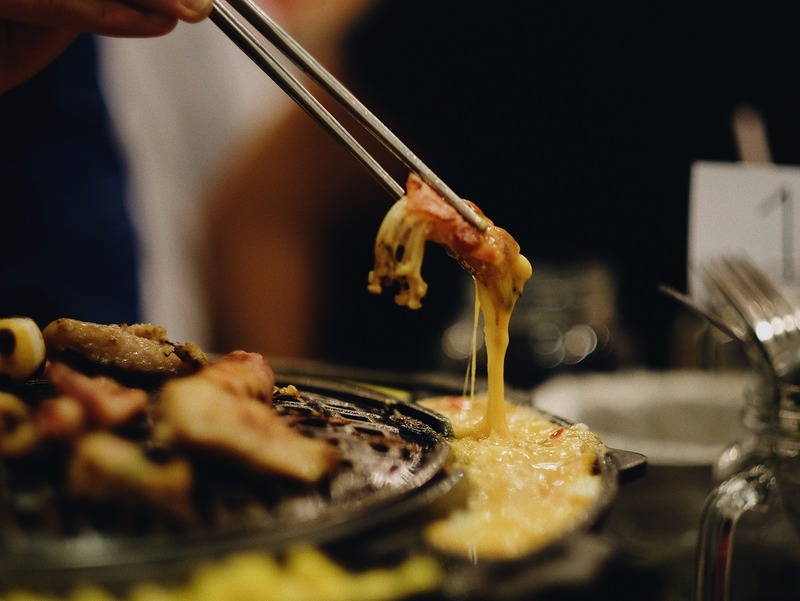 However, they’re unique in the way that on top of the usual grill + steamboat combination – they also offer flavoured cheese (truffle and salted egg yolk, for example) and egg trays, inspired by Korean establishments. Photos of happy customers flood their Facebook page, and their close-to 200 reviews reveal an average of 4.5/5 stars – all a testament to how their mookata is digested well with Singaporean foodies. But behind the cheeky name is a story of a man with a long-burning passion for F&B. I talked to Kenny Tan, founder of Ladyboy Mookata, and found out more about his long drawn out F&B entrepreneurship story – one that also saw him selling sausages at a roadside stall in rural Thailand. My days in Junior College was fine and I was happy balancing my studies with my CCA. However, my days in university were the worst of my studies life. Like any typical Singaporean student, Kenny was heading to university after his 2 years at Victoria Junior College. Having not come from a rich background, he reveals that he “always saw the importance of having a stable job and income as being the key to raising a family” – and that, in Singapore, typically comes with the ‘unspoken rule’ that one should have a university degree to secure a decent job. Soon, he realised that he made a “big mistake”. During this tough time, the only joy he got was from setting up small businesses – one of which was renting out VCDs. In the middle of his Final Year Project, he reached a stage where he was about to give up. I wanted to leave the country to be away from my family and friends. I went to a rural town in North-Eastern Thailand where no one speak English. I was trying to see if I can adapt to a new and strange environment alone and start up a small business myself. 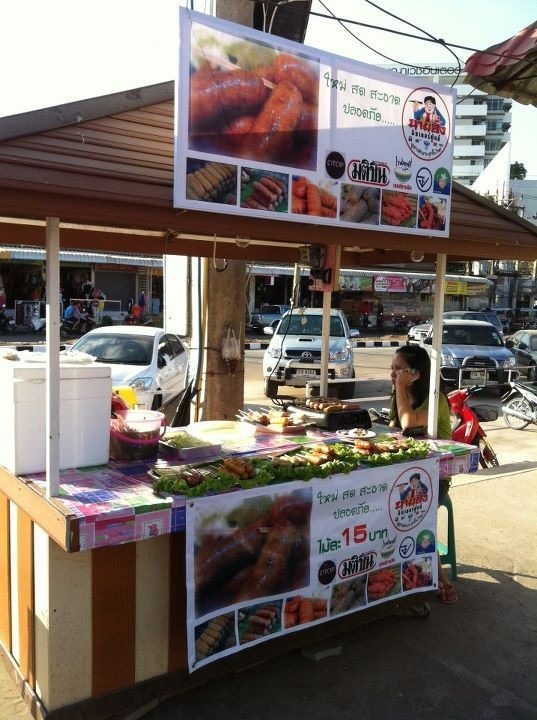 Renting himself a small unit for approximately 4,400 Baht a month (S$180), he set up a small kiosk at the local wet market with his limited funds selling hot dogs for 10 – 15 Baht ($0.40 – $0.60) each. An ideal choice, given that he didn’t need to provide seats for customers – something which would incur extra capital costs. A small town without a hot dog supplier, he had to persuade his supplier to send over the goods from Bangkok, and needed to go collect them from the post office every morning. But his humble business soon proved to be a tad too humble, and after 2 months, he realised that the profits he made were not even enough to cover his daily expenses – let alone utilities and rent. After 6 months in Thailand, he returned back to Singapore to his parents, happy that he was continuing with his university studies. With a firm determination to face the same problems he encountered before his escape to Thailand, he “bit the bullet and graduated” with a Mechanical Engineering degree. However, he knew by then that in spite of his degree, he wanted to go into business when he graduated. His first job was at Asia Pacific Breweries (better known as the home of Tiger Beer), and the rest of his career was spent in Fast Moving Consumer Goods (FMCG) industry, where he said he learnt many lessons – “things [he] never learnt in school”. Deep down, however, he harboured the dream of owning his food business. A big mookata fan himself, Kenny used to catch up with his 3 co-founders over the grill and cold beers, and this habit eventually turned into a plan for them to set up a joint of their own. They were well-aware of the competition, though, given that mookata restaurants were popping up at every corner in Singapore. To stand out, they tweaked the traditional dish to create ‘Moo-ka-Cheese’ – described as a fusion of mookata with an array of cheese dips. The journey of setting up was not an easy one, as I didn’t know much about [running an F&B business] and had to do a lot of reading on the internet, and consulting friends to understand and formalise what I wanted to do and achieve. Spending close to $80,000 to set up the business, he admitted that the amount is actually “relatively limited”, and there were many nights where they had to DIY the painting of walls. With the launch of their flavoured cheese dips, customers started pouring in, and their average daily sales are around $2,000 to $2,200 now. A story of a passion project many years in the making, Kenny advices that aspiring F&B entrepreneurs to not be deterred by the widespread pessimism surrounding the industry.